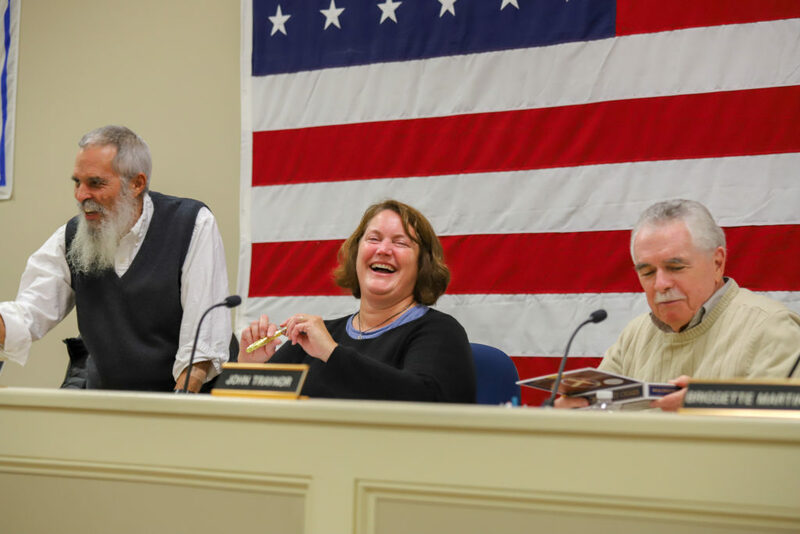 PLYMPTON — On Monday, Jan. 14, 2019, Plympton Selectmen met for a brief working meeting to develop their 2019 priorities and goals. The board said they are happy with the progress being made in this direction and wish to continue to professionalize the town’s operations. The board said they see this as the long-term legacy they will leave the town and hope to have a master plan similar to Carver or Lakeville. The Old Colony Planning Council is assisting in this process. The board is exploring hiring a grant-writer for the town. One candidate will be at the next BOS meeting. The board said they are concerned about filling positions on town committees and are looking for creative new ways to find volunteers for committees and boards that will likely have upcoming vacancies, such as the Zoning Board of Appeals. While it is the job of the Town Administrator to support the board’s goals, the board also wants to support the Town Administrator’s goals. The board agreed that affordable and senior housing is desperately needed in Plympton, and one solution to this may be utilizing town-owned parcels of land for this purpose. The board said they wish to govern in a fiscally responsible manner. The board says they recognize that the citizens of Plympton value their natural resources and rural character. The BOS will next meet on Monday, Jan. 28, 2019, at 6 p.m. in the Selectmen’s Meeting Room of Town House.